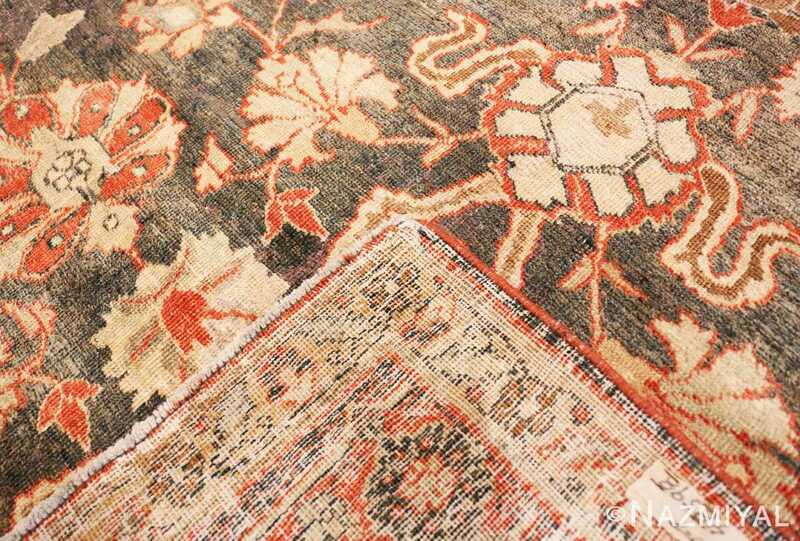 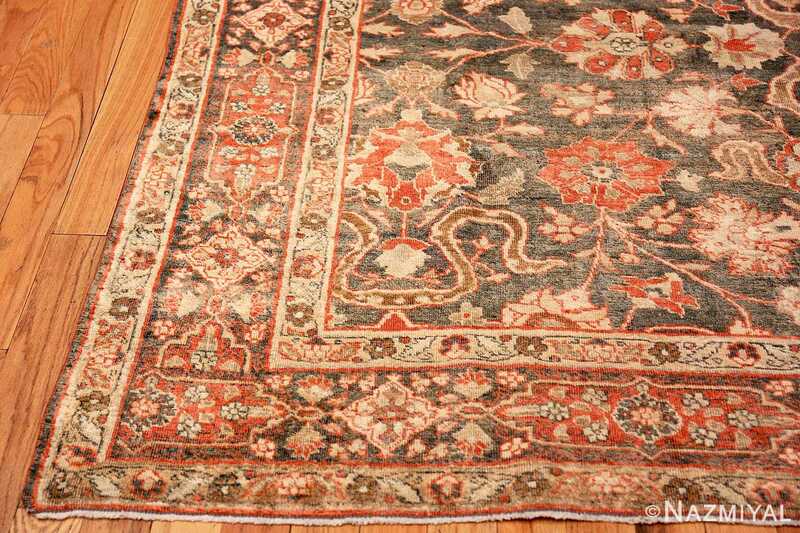 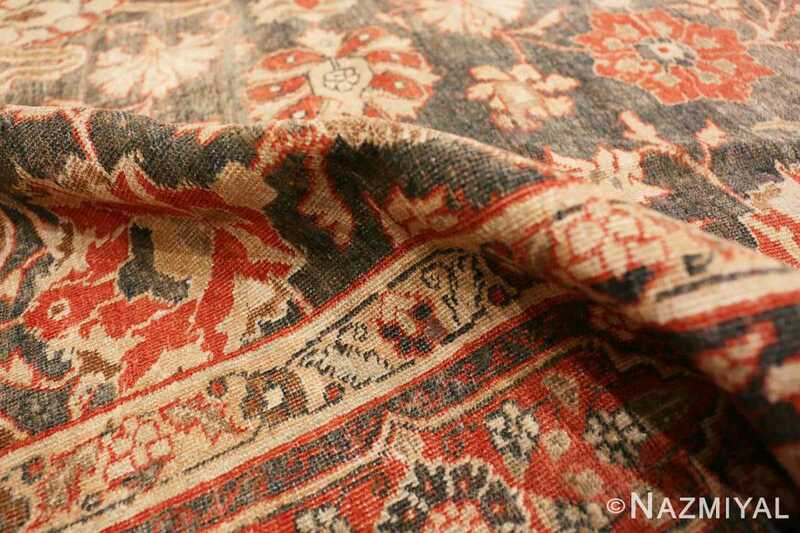 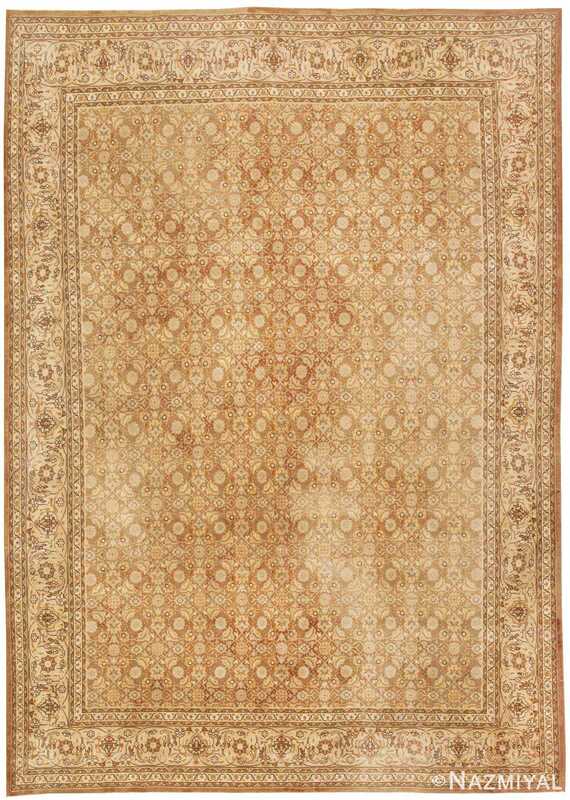 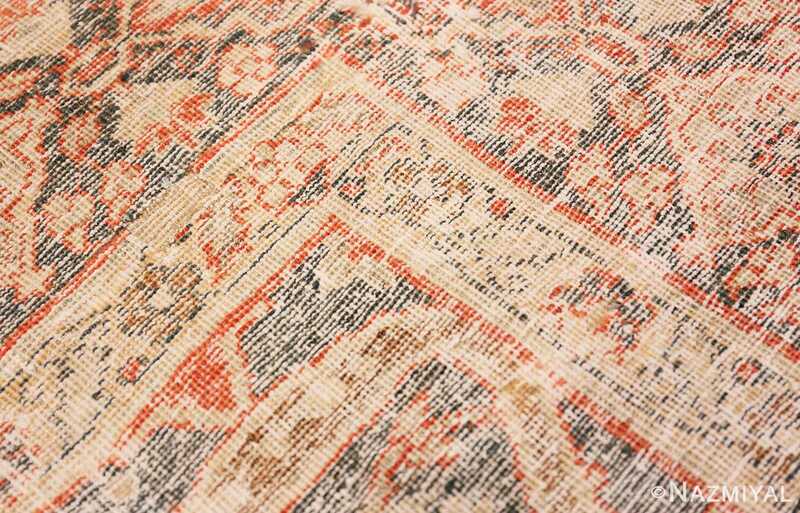 Beautiful and Finely Woven Grey Colored Background Antique Persian Tabriz Rug, Country of Origin: Persia, Circa Date: 1910 – The subdued but velvety gray background of this antique Persian rug is enlivened by smoldering orange and creamy white patterning. Spilling symmetrically around the vertical axis, the design is formed by arching stems and vivid blooms, rendered elaborately with precise stitches. 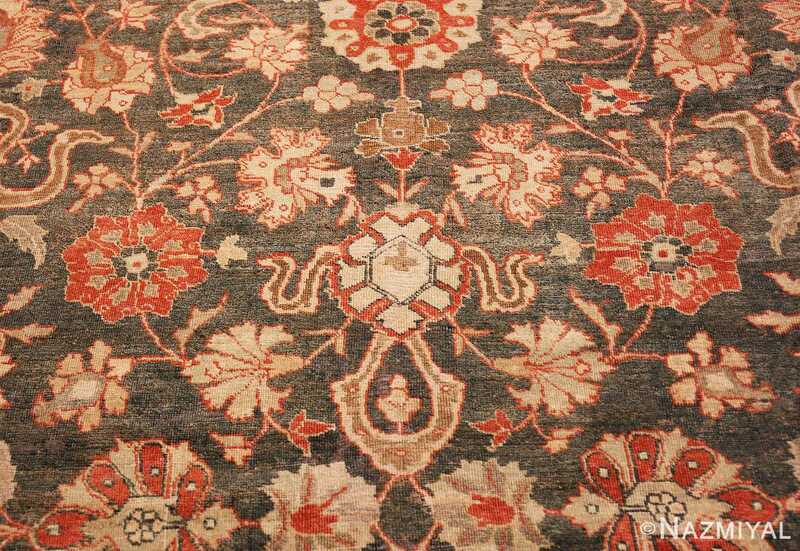 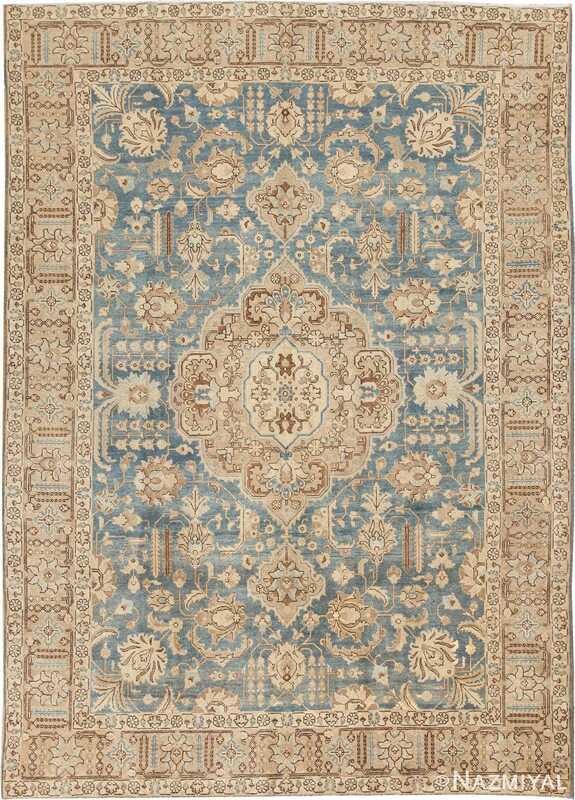 The palest blues and greens offset the brighter hues to balance the elements of the Antique Persian Tabriz Rug. 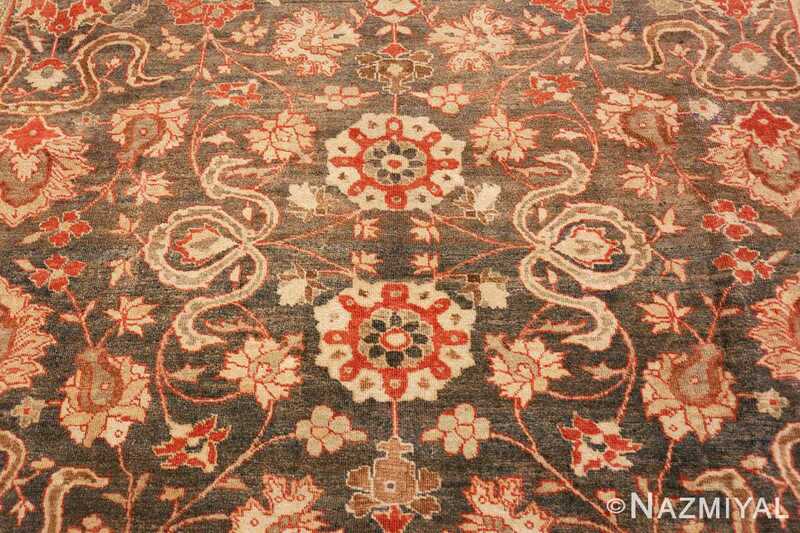 A narrow cream border encloses the central area, filled with a looping lattice of jagged leaves and simple, circular blossoms. A dark border follows, wider and brimming with ornate ornaments that alternate flowery red and white designs around, flanked with tiny white florets. 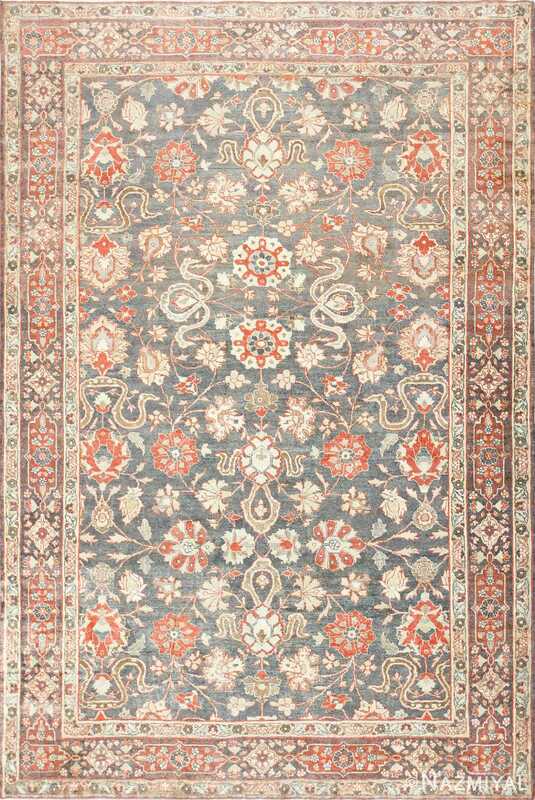 A final light band, matching the inner one, completes the antique rug, each flower matching the one mirrored across the dark strip. 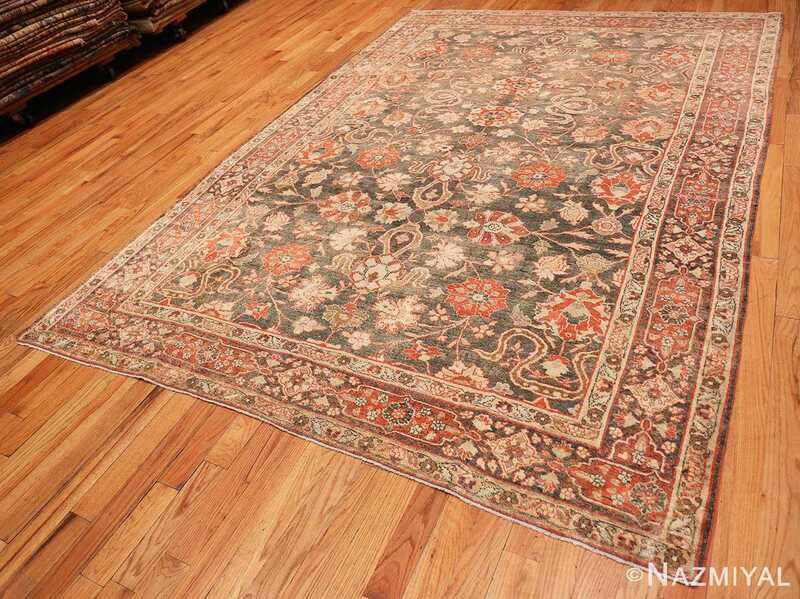 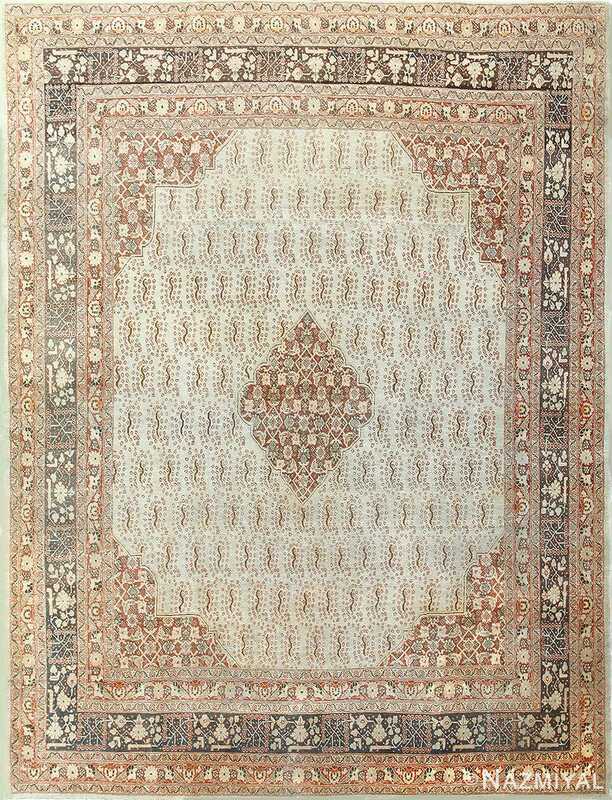 A complex Herati design in shades of tan and burgundy repeats in precise allover symmetry across the rich cocoa ground of this lovely antique Tabriz, Persia, circa 1900 from Persia. 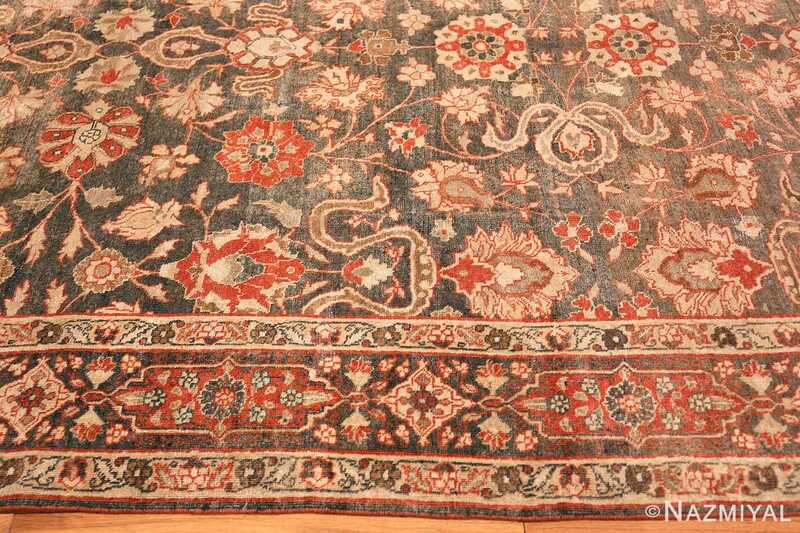 This early 20th century antique Persian rug from Tabriz depicts a lavish pendant-flanked medallion surrounded by large-scale arabesques and camel-brown borders.